It’s not the first time that an old establishment has fallen prey to the mighty ax of modernism and hostile economic struggles yet there seemed to be an eery feeling of uncertainty surrounding this day in Atlantic City. 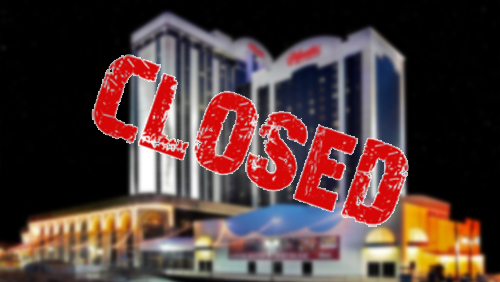 One of its 12 casinos, the embattled Atlantic Club Casino and Hotel, officially closed early Monday, becoming the first casino in the once mighty gambling town to fall victim to the increasingly saturated casino market in the region. 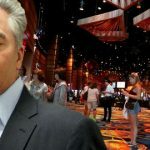 In some ways, the Atlantic Club’s fate was sealed the moment Caesars Entertainment and the Tropicana won a bid to purchase the casino late last year. There was a last-minute attempt by another bidder – Sobe Holdings – to save the Atlantic Club’s life, but ultimately when the clock struck midnight, the sword fell on Atlantic Club, putting to end a run that lasted a good 33 years. 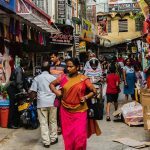 All in all, around 1,600 employees lost their jobs after the casino closed, an alarmingly high number any which way you look at it. A lot of these people will wake up the next day not knowing what their futures will hold and they’ll only add to an already voluminous unemployment rate that has besieged Atlantic City. 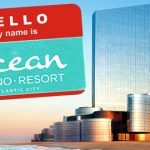 As for the casino itself, the Atlantic Club’s fall from grace will forever serve as a cautionary tale on what happens if you can’t keep up with increased competition from casinos that offered far more than what the Atlantic Club could muster up in its arsenal. Whereas others already had heavy duty artillery at their disposal, the Atlantic Club still had bolos. It became a recipe for disaster, a stark contrast to when it first opened as a beacon of opulence in 1980 when it was still known as the Golden Nugget. Back then, the Golden Nugget was the top-earning casino in a bustling gambling destination that was giving Las Vegas a run for its money. Frank Sinatra often performed there and you know the kind of cache Blue Eyes had back then. He was the ultimate stamp of approval and if he graced your establishment with his presence, you were immediately considered one of the big boys. But with Atlantic City’s expansion, coupled with the rise of competitors in neighboring states, the Golden Nugget lost its luster, going through one ownership group after another as often as it changed its name. At one point, it was even called the “ACH”, a name you’d have no clue of if you didn’t know it stood for Atlantic City Hilton, another name it went by. In the end, it ended up being called the Atlantic Club Casino and Hotel. It’s the same name the establishment will carry to its grave with its closure on Monday. In times like this, it’s hard to imagine how other Atlantic City casinos will survive this upsurge in competition. Massachusetts is coming. So is New York. And we haven’t even talked about Maryland, Pennsylvania, and yes, even northern states like Connecticut. The Atlantic Club was never the biggest casino in town, but it established a reputation as a close-knit establishment where regulars knew the staff by more than just their names. 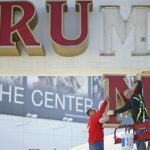 When it was officially closed yesterday, 11 casinos will remain, although the future of some of them are as much in question as the next one. But history will forever remember the Atlantic Club Casino as the first of the 12 casinos to close its doors, permanently shutting off the lights, never to open again. 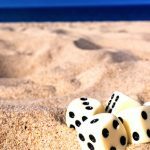 It’s a sad story, but one that will be a reminder to everyone in the casino industry that if you get left behind, chances are you’re going to suffer a similar fate. Rest in peace, Atlantic Club. It was fun.